For the full changelog, git log --oneline --decorate 19.1..20.0.
md5sum is 261d6dba5c913b0d753c1b595ab85740 and the sha1sum is 16a35b4fac95296b6a7276ae189b16c00a6e3134. If you are using the recommended Install version of Webconverger, you should seamlessly upgrade incrementally day by day as Webconverger is updated. In other words, an installed Webconverger is maintenance free. I've measured the 20.0 upgrade size as about 112M from a fresh 19.1 install. 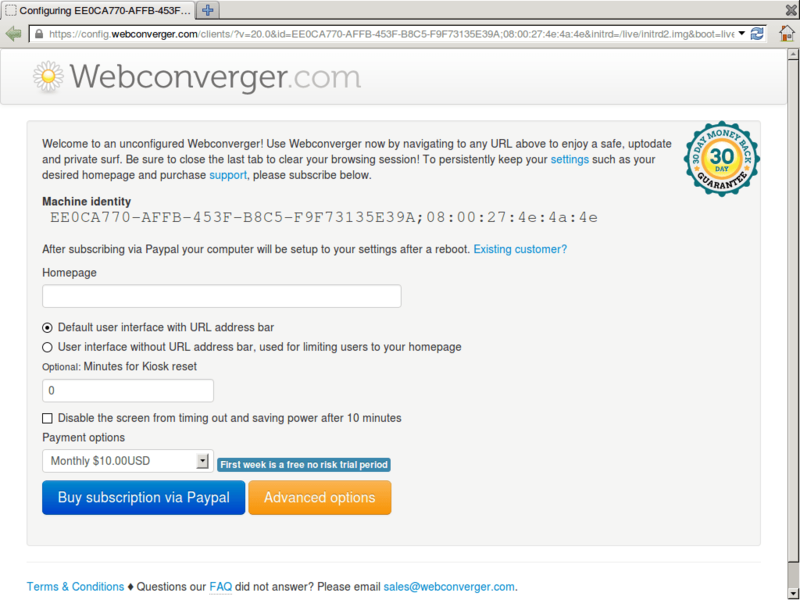 My methodology was to to install the previous Webconverger 19 release. Then reboot with debug mode enabled and grep upgrade /var/log/syslog from time to time until it was finished downloading from our origin hosted at Github. 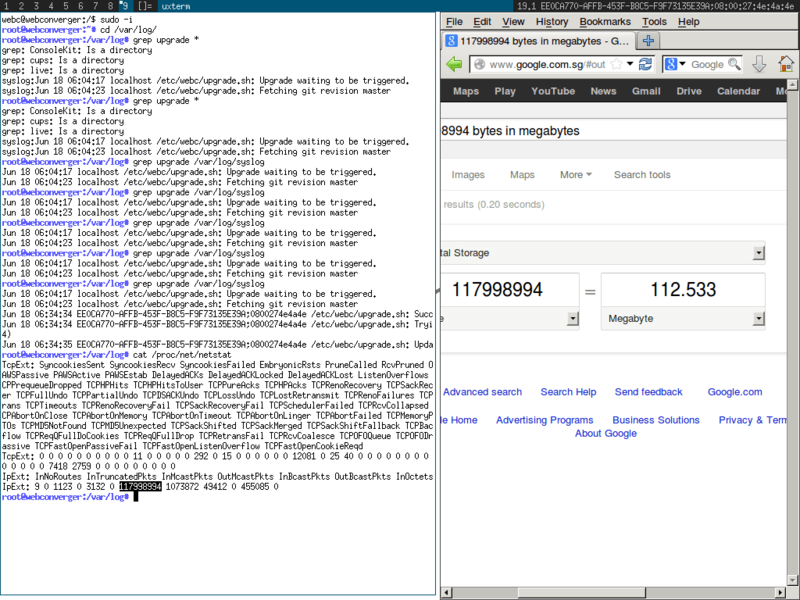 To see how much data was transferred, cat /proc/net/netstat and plug in the large value into Google.com and append "bytes into megabytes".